« Europa League here we come! My first Stoke game was back in 1974 at the tender age of six when my dad and my granddad took me to see them play against Derby County. Since then Stoke City have been and always will be my team (I give thanks they didn’t take me down the road to the comedy club aka Port Vale). 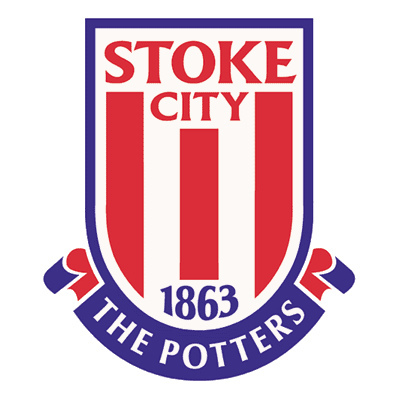 …seeing some great footballers play for Stoke…at the old Victoria Ground, sat in the Butler Street Paddock watching John Ritchie, Jimmy Greenoff, Peter Shilton, Peter Fox, Alan Hudson, Dennis Smith, Howard Kendall, Alan Dodd, Mike Sheron, Mark Stein, Carl Beeston and Wayne Biggins to name but a few favourites. Over at our new(ish) Britannia Stadium watching Mama Sidibie, Clint Hill, Liam Lawrence, Robert Huth, Ryan Shawcross, Asmir Begovic, Tuncay, Thomas Sorenson, Matthew Etherington, Rory Delap, Jermaine Pennant and Jonathan Walters. …the away grounds including a cold night at Wycombe, the delights of the old cow shed stand at Huddersfield, the open air toilet wall at Leyton Orient and the slightly scary way the away stands bounced at Blackburn. …seeing us win the AutoGlass Trophy twice at Wembley beating Stockport County and Bristol City. …taking immense pride in our promotion to the Premiership and how the fans have, in the main, taken to Tony Pulis. Let’s not forget on his first time in charge he was nicknamed ‘Binary’ Pulis but he has won us round with his astute signings and team spirit plus he is always quick to praise the fans contribution to the club. …demolishing Bolton 5-0 in the FA Cup Semi-Final. But the proudest moment for me has to be our first ever FA Cup final appearance coming up this Saturday. Win or lose it doesn’t take away the magic and the fact Stoke have finally reached the domestic final that has alluded us for so many years. My heart says we will win 1-0, my head says we will lose 2-1 but so long as we give as good as we can I’ll be more than happy. Come on Stoke let’s give those overpaid, pampered mercenaries a run for their money! Be loyal, be proud, be Stoke. This entry was posted on May 10, 2011 at 9:08 pm and is filed under Uncategorized. You can follow any responses to this entry through the RSS 2.0 feed. You can leave a response, or trackback from your own site.